Built for India - Chat and share with friends. Try Skype Lite today. The new Skype built for India to help you stay connected on the go! Skype Lite is optimized for 2G and unstable network connections, so you can stay connected with friends and family. Lightweight, battery-friendly and runs smoothly on new and old Android mobile devices. One app for all your Skype chats and SMS messages – you can even separate promotional SMS messages from the messages that matter most. Explore the world of Skype bots designed especially for India. 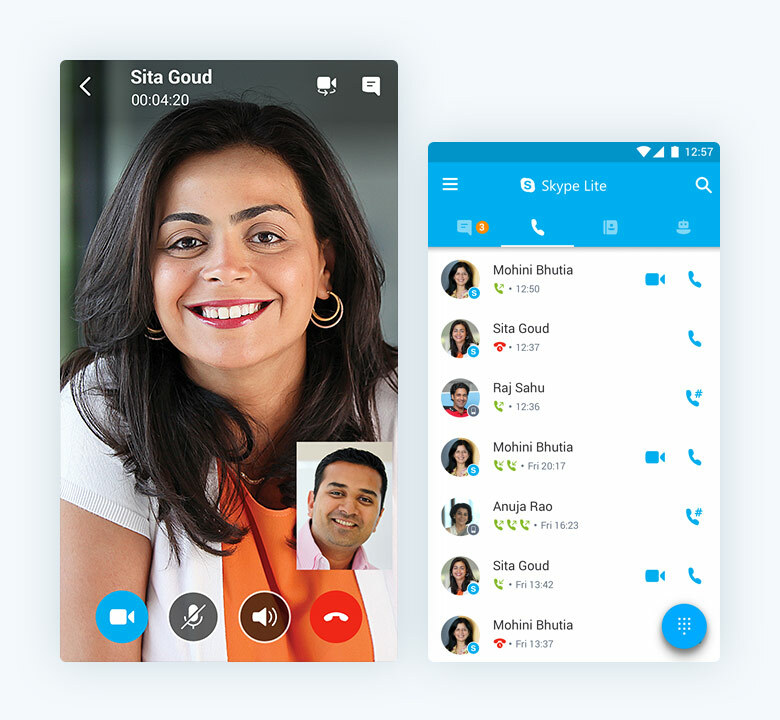 Skype Lite is also available in Bengali, Gujarati, Hindi, Kannada, Malayalam, Marathi, Odia, Punjabi, Tamil, Telugu and Urdu. Give us your feedback from within the app by shaking your device.